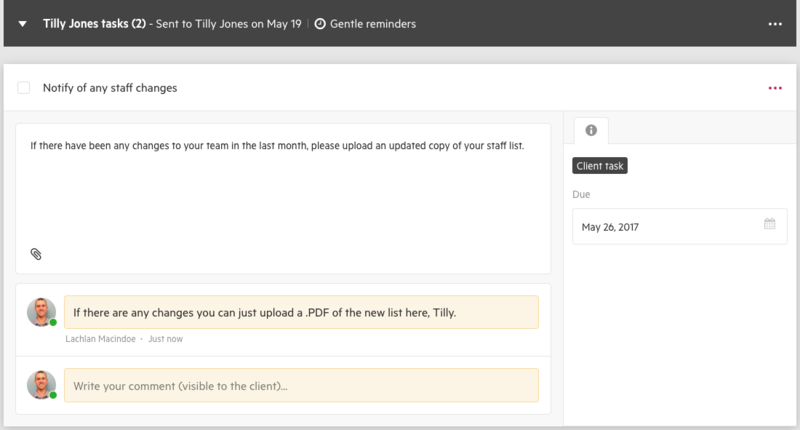 You or your clients can comment on individual Client Tasks to instantly communicate in context. To add a comment to a client task, add your text in the yellow box that will appear when an individual task is expanded. 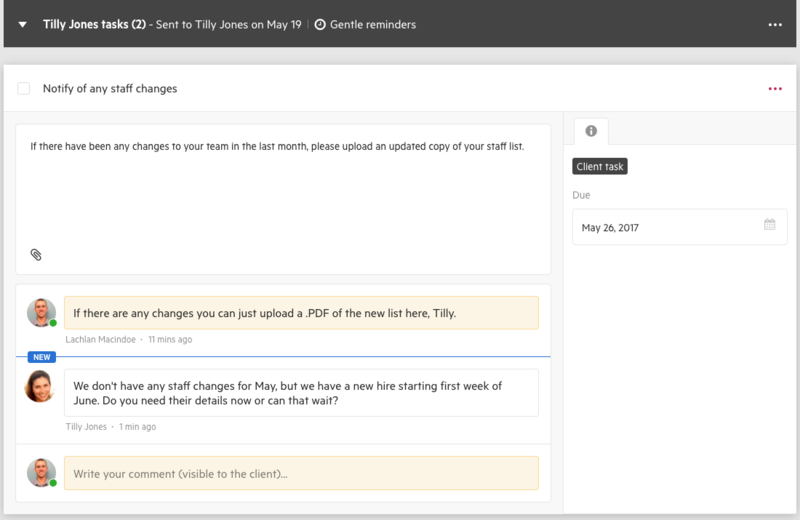 As soon as you add a comment, your client will receive an email, or if they have their client task view open, they'll see your comment instantly.